All engines pre-fixed with 'GSE' or 'RKM' were of UNIPART origin when BL split its parts organization. If you're looking to build the ultimate road or race engine, let Mini Mania build it for you! In this video we give just one example of the higher end racing components. The question has come up again about whether it’s possible to pull the engine unit from a servo equipped Mini without disturbing the hydraulics. A ‘servo’ is what a power-brake booster is called for a Mini. I have an engine LBB 10473 100136. Anybody any clue what that is? Looks like A+ 1275. Steav1968. Correct regarding the head which would most likely make the engine a 1275. The big bore engine heads, like yours, can be made to fit on a small bore engine (848, 997, 998, 1098) but it is seldom done. As to what type of 1275 I can't help further. If you are sure the engine and gearbox are original together then the type of shift mechanism can help with an answer. As for the block stamping, I don't have any listings. You could try posting on the Mini Mania Forum. Someone there may recognize it. Hello there, Trying to identify my engine but is has no ID tag. Stamped into the block is C10B6 and the cylinder head casting number is 12G1316 which I believe is an Austin America emissions head? Any help would be appreciated, thanks. miniacs, Correct on the gearbox. It should be a remote shift, not rod change. The engine could be OK. 354 would be: mechanical fuel pump, negative ground, matched to a remote gearbox. It would also have an alternator. They didn't come in until 1973, but likely earlier on the Canadian cars...and the V tells me the engine is Canadian. What you need to do is get a Heritage certificate for the car's Chassis number and see if the engine number matches the 1287. I have a 1972 canadian mini with 1275 twin carb set up. The car came with a second 1000 motor and gearbox. I am told it is the original motor but I am not sure. The spare gearbox for sure is wrong since it is a rod type. Spare engine number is 99H354V H1287 I can't find it on any of the lists. Anyone know? Thanks in advance. Mgbsrh, Built IN 1985 or later. 99h997p 132045 according to the chart this is an a+ engine built after 1985. Is that correct? Redcooper, A factory rebuilt engine, but one of many not on our list. A quick Internet search didn't turn up anything, either. Do some more searching, and you might try posting your question on Mini related Forums like the Mini Mania one. You might get lucky. Vanessa, Not like any Mini engine number I've ever seen. Engine number 1000 2831 ??? 1098cc?? Out of Leyland Van. NR, The engine number is incorrect. It should be 99H, not 994. Information on that engine with the change made is in the article. veggivet, The beginning "12" would lead one to think that the engine is a 1275, and may be, but no Minis were being made in the mid to late 80's with 1275cc engines and the full number form does not fit Mini (or Metro) engines. Jem, the -G03 sounds like the correct engine number for your car. I'm not familiar with the -J21. You might try posting this good question on the Mini Mania web site. I have been given a mini engine I need to adentifie what it is engine number missing.head number is 12g940 engine block numbers are on time cover side is stamped 100 on cluch side numbers stamp are look like 1120 under that is 1279 doses enyone know what it is. No tag on this engine...but it has the numbers 4899408 stamped on the block. Pretty sure this is a 1275cc engine from the mid to late 80's ('87 maybe?) made for the Japanese market. Just confirming engine ID before I add an Eaton M45 supecharger....many thanks! Costas, Any Mini engine will run on unleaded fuel, and running an engine with a head not made for unleaded will wear it down faster than if the head was made for unleaded, but depending upon how hard you run the Moke and how often, the head could survive for years before needing to be rebuilt. If you want to be very cautious, you can remove the head and have the proper exhaust valve seats installed, or find a "lead additive" (I'd recommend Red Line) to be used each time you fill the tank. The number is not valid for any Mini I am aware of. If the number is stamped directly into the block instead of on a tag it is possible those are code numbers used by a company that did a rebuild on the engine. You might try posting your question on the Mini Mania Forum. Someone there might recognize the numbers. I don't. Hi, I have, what I believe is a Mini Engine but the number on it is 1009/2169 that is all nothing else. Can you advise what it would be out of? brianmeg. Sorry. Can't understand the question. Mk1mini, Along with the listing above of replacement engines, I've collected around 20 more numbers...and yours is not one of them. You might contact British Motor Industry Heritage Trust. The chassis number is correct for a 1098cc engined '79 Mini Special. The engine number is from a 998cc engine. Either the engine has been changed or either (or both) of the numbers (chassis and engine) have been changed. I have difficulties to identify mu Mini engine. The model is a 1979 Mini Special with VIN XC2S1N1121191B The engine number is 99H0208 08059. the registration paper indicates it is a 1,083cc engine? On the other hand from what I read, I see that the 1979 Mini Special was installed with a 1,098cc(?) engine...but all 99H engines are 998cc engines. Any assistance / additional info would be highly appreciated. Rowley, Not that the article deals only with Minis. I suggest you write Mini Mania at info@minimania.com if you want Sprite information. John, The 12H makes it a 1275cc horizontal engine, but you won't find it in Mini or Metro listings. The 298F with the 12H says it is from one of the dual carb ADO16 cars; such as, the MG1300. Some information is available in the article. It's a 998cc A+ series Mini engine. As to a specific build year, I can't help you. Please can you help identify the year and what this engine was fitted into: 99HB81P170954. Thanks Carolann. I'm trying to identify the meaning of the second prefix group coding in the 800 and 900 range for 99H and 12H power units made for the Australian market. To date British Motor Heritage and other likely sources have not been able to help. Do you have any records that can decipher the following coding after the 99H and 12H codes? 99H860AJH, 99H889AH, 99H905AJH, 99H905AJX and 12H902ASZ. It is believed the codes relate to engine emission control requirements for Australia. Any help or suggestions on who can answer this would be very much appreciated. BMC and Leyland Australia factory records were lost when the companies wound up in the mid-1980's. bugeye, Not a Mini engine, but from one of the cousin AD16s; such as Austin, Morris, etc. 1300. I'm not aware of any Mini or Metro engines with a 12Y prefix. The only thing close would be 12V, but they were in the Sprites/Midgets. A Sprite/Midget block could be modified to use in a Mini, but it is VERY uncommon for that to happen. You might do some Internet searching for 12YTAH to see if something turns up. I have an engine number that isnt in your list. Could you help me out. It is 12YTaH2007. Thanks in advance. Photos received. I'll take a look at them. Tribilin, Unless you have one of the few Innocenti Italian made Minis there were no Cooper versions being made in 1971. The Cooper model was discontinued in 1969 and didn't appear again until 1990. If you send a couple of engine photos to chuck@minimania.com I may be able to help identify the engine. Hi all I'm restoring a 1971 Mini Cooper 1000 with a 998cc motor made by BMC The engine identification tag is missing. Is there why other way to identified my engine? 998cc, mechanical fuel pump, generator (not alternator), negative ground, remote shift (not rod change), 4-synchro. Kostas, You can't find that number in a listing of English built cars because that is a number for an Italian Innocenti Mini. My records aren't complete, but what I have for a B38/1 is that it would be a Innocenti Mini Minor 850. The build number, 364699 would make it a Mk I version built between September 1965 and September 1968 -- probably in 1967. Ok, thanks! Strange... I saw earlier in this discussioan a guy called Flodin (maybe also Swedish? ), who had almost the same number. Only the last four figures were different. Would be interesting to know what car he has! I don't have any records for English made engines (for Minis or Metros) that use the number 99H889. If it is valid, it would likely be a mid-80s engine. The 99H (998cc) is correct for your car, but other than that I can't help you. No. Most likely a late 70s engine from a Canadian car. For sure it can't be one from before 1973. Ross, 8AM is certainly a number for an 848cc engine. The number plate (if still fitted) should be on a horizontal, flat surface just below the #1 spark plug. You can also check the backside of the block (side towards the firewall) towards the radiator end. Look for a casting number "850" or a metal plate with that number. 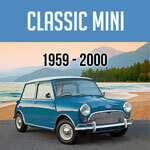 Can you help I have a v5 which claims to be an Austin Mini 1968 mk2 998cc Engine. The Number is 8AMTAH6396 but I don't know if im being really stupid or not but I cant find that anywhere? So I presume this is an 850 not 998 as docs say. Help would be great. 12H = 1275, transverse engine, but 009 doesn't fit for any Mini that I'm aware of. Not a factory number that I recognize. You are correct; however, until you have taken the engine apart, you will not know for certain what is in it. It's possible it has been rebuilt before with changes made. The majority of the 998 engine parts were all the same so you won't find many differences between engines. And there is no reason you can't make changes when you rebuild the engine; such as, different cam, different pistons, etc. I just picked up a 1974 Mini1000. It's believed that the engine is NOT original but it is a 998cc replacement. Because it's not fully working properly I'd like to identify it so I can rebuild it properly. Anything else I need to know about it? Mayfair was an English built model, not one made in South Africa. And they were not made until long after 1967. Regardless, both of those numbers are not standard numbers for English Minis. They are not going to be any help identifying your car. I can only answer for the 12G295's use in the transverse engine cars. The MG1100 used it but not until October 1962. And the 2nd version of the Mini Cooper used it with the 998cc engine starting in January 1964. Hi I have a big problem. I´m racing with a A40 Farina mk1 in "Tusencupen" in Sweden. I have a 12G295 head and now RHK says it´s not period E (up to 31/12 1961) Is there any documents showing that this head was used before this date? Lawrence. The number is from a Cooper S, but the solid wall block isn't. The "F" indicates dual carbs. Hi Guy's I have the following engine number 12H/398F/535 the block is solid wall. Can anyone tell me if this is a Cooper S engine please, also what does the "F" after the 398 stand for. 970 and 1071 were big bore engines and made for the Cooper S only. All 1275s are big bore engines. They were made for the Cooper S and non-Cooper S.
NickD, Familiar? No. Not to me. Couldn't find convincing information on a 905AJ even with a web search. It is talked about on a Moke forum but only with differing opions. Correct. Could be 1973 to 1980. So I am probably the newest member to the mini gang here, just purchased a barely original 1967 Morris Mini with cooper badges but I know the only cooper about it are these badges. Anyway my engine has 10GR-TA-H18188 on the engine plate, which I guess is a "10GR/Ta/H MG1100 (ADO16 shape)" Where do I take this info and find more information? Just learning about this car, trying to get it working and making it my daily driver and any help would be great. 12H832X probably Innocenti 12H694AA probably A+ Allegro 99H353E early Mk III 998. Before 1973. Hi,recently I have picked up a few engines but d'ont know their origine. Please help. 12H832X H 033518,12H694AA 056143,99H353E H 16138 THX! The factory "Italian Job" Minis used a 1275cc engine. I can't say if the 12A engine you have is the original engine, but the 99H (a 998cc engine) wouldn't be correct. Hi I wonder if you can Identify these engine number as I would like to put the better one back into my Italian job mini, 1st number is 99HB81P 130478 and the other is 12A2BC03 260195 any info on these engine would be appreciated. 12E.12A497 doesn't look like any Mini engine number I'm familiar with. B38/1 would be a Mini Minor 850 built between Sep 1965 and Sep 1968. The rest of the number looks one number too long. The B38/1 Inno Minis were built with 848cc engines. As long as you have the paperwork to show that the car is at least 25 years old, and if the numbers on the paperwork match the numbers on the car, you should not have any problems with U.S. Customs. No such thing as an "i 99" engine. The 99HF1 is not one I can find. 99HF15 and -16 are listed in the article, and based on your car being a 1989 your number is close to one of those. Sorry I cant be more help. Andy, Not a Cooper. And I don't see that sequence listed for any 998cc Minis or Metros. 9F/Xe/Y is a valid prefix for later 1275 Cooper S Minis, but the build numbers started at 51501. The chassis number you list doesn't fit anything I'm aware of. Hi there does 9FX?y5313 mean anything. Sources tell me could be early cooper s.
Engine numbers don't have dates built into them, and I've never seen a listing of build dates for engines by engine numbers. Engine numbers are related to car build dates but not exactly. If you can find others who know when their car was built and with the same engine prefix and similar build numbers you can get reasonably close to an engine build date. For now, about all one can tell (from this article)is that the engine was likely in a Mini built between May 1992 and September 1996 when the last of the carb cars was built. Sorry for the typo, Engine # 12A2BG03240709.If anyone can help with dating the engine I would greatly appreciate it.I'm looking to export. I'm looking to date an engine. #12A2BG0340709. Can anyone tell me what year this was manufactured? or at least where to look. It is not a Cooper. The only 99H Cooper numbers used (March 69 +) were 99H377 and -378. Are you sure about the 83R? I do not find that listing. Might the R be a third number in a row? charlie, 99H explained in the article. 702e would make it a 73 throiugh 79 most likely. Are you sure about the "hh". Never seen that before. A single H would mean high compression, which was really the normal standard. It's a factory replacement engine, but I've not seen that number before and can not tell what size it is. The 8G prefix was used on most Mini engine sizes. If you send a couple of good photos of the engine to info@minimania.com, they should be able to tell at least whether it is a small bore engine or a large bore. Can you tell me size of engine number 8G162ER27691? Don't have a listing for 12HEH (this one has been discussed before) and a new web search turned up nothing useful. Where's the oil filter located? Dood., I don't find any Mini or Metro engine number of the form 12H708AA. It might be from one of the ADO16 series of cars, but even a generic web search doesn't turn up that number. Hi Cheleker, Could you cast an eye on my part engine number and hopefully fill in the gaps. All I can read is 12H708AAHO O I know it's an 1275 engine but from what I don't know. I have no clue on the missing number and how many there should be. If the head is still the one that came on the car in 1986 and hasn't been reworked to take unleaded fuel, it is not designed to run unleaded. Will it run unleaded? Yes. For how long? Depends upon how much you drive it and how hard you drive it. The best option would be to find one of the few "lead additives" that actually work and use it. I don't know what brands in England work. Caution, there are many that don't! chris, both engine numbers indicate 1098cc engines, not 998cc engines. hi there I have a mini cooper restoration project here in new Zealand and the person I got it off swears the engine is a 998 cc I have looked up the engine number of 10H702E-HI3240 and all sites say it is a 1098 cc engine . I am also lookin at purchasing an old complete engine for parts of a website in new Zealand and he also says his is a 998cc with an engine no of 10H7941AA54791 I am rather confused can anyone help? Transverse Mini-like engines were put in a lot of different cars. It may be from another car. You may have the wrong engine number. I may not have all the Mini engine number options. Try an Internet search for 99H889A. Ok! Weird there is something under the hood that looks like a mini engine ;-) i have to keep looking then. Thank you very much! stretch, the only thing I see as close is 99H/A97P. You might try posting on a few Mini Forums (like the Mini Mania one) to see if anyone else has a Mini 30 with an original engine number. You could also contact BMIHT ("Heritage") with your Chassis Number. They may be able to get an engine number. the missing character after the H is confusing me ?? if it helps the car is a Mini 30 and was first registered abroad for 9 years before returning to the UK - possible engine replacement abroad perhaps ? Hi Cheleker. Thanks for your help. I just found out that the number is 791. There is a dent on the engine number plate which made the 1 look very much like a 9 so you are right about the valve cover. I am happy to know that it is a mini engine and probably the original one. Red, I'm not finding any engine used in Minis or Metros or ADO16s (MG1100, Austin American, etc.) with the 799 number. It doesn't show in the Mini factory literature. The number is too low for a Metro and the MG Metros were all 1275s, not like your 998. The valve cover marking isn't much use. The same size was used on many different cars and they seem to get swapped around a lot. You might take a shot at doing a web search for a 99H799P engine number. Hi I bought a 1976 Austin Mini with engine 99H799P414944 with MG stamped on the rocker cover. Is it a Metro engine fitted in a Mini? The engine number isn't much help. The Chassis Number (VIN) would help. Hi i have a 73 roundnose but i wanna find out the exact model. My engine number is 12H705EH6980 any help would be greatly appreciated. HI, i talked to MKI cooper S Registrar, and they told me that to give me some informations i have to be a member, so it´s not possible to get information from Simon. One couldn't buy a 1071 right from the factory with a 1275 engine installed. Well, maybe if you were a real important person you could get a very late 1071 with a 1275 during the short period of time when all three S engines were being made. The 1275 engines as supplied in Minis were not red until 1990. I suggest you do some web searching looking for Mini Cooper Register. Find their web site and contact the Mk I Cooper S Registrar. Let Simon know what you have to see what he has to say about it. I read somewhere, that this can be a upgrade available for 1071, that in factory, we could ask for the Red colour engine, that is a 1275... do you think is possible? 27311 by itself could be a 997, 998 or 1071. If BMIHT shows it as a 1071, the prefix you quoted is incorrect. That's a 1275 S prefix. There is always a chance the engine tag was originally stamped incorrectly...but VERY little chance. It is more likely that either the number really ends in H instead of Y, or the engine plate has been restamped (incorrectly) sometime during the car's life. Hi, i recived the following information from BMH engine number 27311 recorded in the build ledger and this is a 1071cc engine. I´m very confused, do you think this is a new information for the Mini Engine Identification? Yes, it is possible if the 1071 was replaced with a 1275 engine! Hi, Can you help, i have 1964 mini cooper S 1071CC, but engine number is: 9F-SA-Y/27XXX, is that possible? Very unlikely. More likely it is a much later, A+ 998 (1980s vintage). Check to see if it is an A+. Martin, Not one I can find in the Mini and Metro range. Do some searching for ADO16 engines; e.g., Austin 1300, Morris 1300, etc. I have a engine with number: LBB10473 100136 They told me it is a Cooper unit. Is it? I'm trying to identify the engine 12H702EH9921 Can anybody help? It is a solid chest (no cam follower inspection plates) 1275cc with a mechanical fuel pumpon the back......? farhan, The chassis number could be correct. It fits an early 1963 Austin Super DeLuxe build date. I've only found one reference to an "FAU" engine number. The reference wasn't much help. No explanation, and it was listed as the chassis number for a car up for auction! 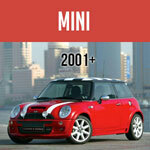 Look for the Specialist Mini Forums and post the engine number in the Early Mini Forum section. Someone there may be able to help. Robbie, Certainly a factory replacement engine, but not one I have any details for. You might try a generic web search. Hi... Can you please guide me re the specs and details of my engine. the number is 8AMFAUH-598387. This engine is in a 1963 Austin Mini AA2S7S-450722. Although i doubt the accuracy of VIN because the fenders and doors are slightly different than the stock mode. 9F/XE/Y shows in some records I have as from an Austrian Mk II Cooper S 1275cc engine. Look for chassis number starting with YKG2S4. The number isn't Mini or Metro as far as I can tell. It's likely from one of the ADO16 cars. In the U.S. that would have been an Austin America. The engine would not have come with an unleaded head. That doesn't mean it hasn't been converted sometime in the past. The only way to tell is to remove the head. I don't recognize any Mini engine number that begins with SH. A2S7 is part of the Chassis number (VIN) for a MK I Austin -- earlier than 1971. You engine number of 10H is a 1098cc engine, often called an 1100. Ian, I have built a listing of 51 factory replacement engines for which I have details. BHM1271E is not one of them. I have a listing of another 10 (now 11!) for which I have numbers but no details. Sometimes a web search will lead you to information, but I didn't find anything on this engine. I have a listing of about 30 factory replacement engine numbers for which I have descriptions and another dozen or so that I have seen that I do not have descriptions for...and yours is one I do not have on either list! You can not assume it will be the same as -33. Try a web search for that number to see if you can turn something up that way. Hi, i have 1275 engine with RKM1134E, is this same as RKM1133E ? It looks like a 70,s A series type engine. wyattsdad, I have about 50 factory replacement engine numbers with information on about 40 of them...and still, new ones pop up now and then like yours. A google search only turned up one reference to that engine number (on a French web site), but there was no explanation. I'd guess that it is a 1275, as you suspect, because the number was referenced in a discussion of the Innocenti 1300s. Find the article on ID Your Mini. There is a section in that one that deals with how to figure out 1275s vs. other engine sizes. Cheleker, Thank you very much indeed for the infor. MiniBaba, you can't tell the year of manufacture from the engine number. If the engine is still in the original car, you can have the Chassis Number/VIN researched to get the build date of the car. The 12A/2D engine is listed in the above article. !991+ SPi (single point injection), 1275cc engine with 9.4:1 compression ratio. Please someone help me to find the engine manufacturing year from this engine number, 12 A 2 DF 75267880. I was told this is an EFI 1200 Engine, is that right???? I just purchased an 1970 cooper with the engine number 12HCC4AA 10731 (followed by what appears to be another 3 or possibly a 5). It would appear to be a 1275 cc but what do the rest of the numbers and letters indicate? Bryan, The reason you didn't find the 12HD is because you logically looked for it in the Engine section of the Tech Articles! Unfortunatley, that only covers Mini engines. Your 12HD is a Metro engine, from the late 1980s. The 12HD was the last series done before the 12HE came out with the unleaded head. Check out the article, "Mini Identification" in the General Section. Go to the identifying your Mini by the engine section. jj, Not likely from a Mini...at least I can't find such a reference. If the back of the block is solid (i.e., no tappet covers) it's most likely from one of the ADO16 range; e.g., the Austin 1300 or Austin America.